Chocolate, French pastries, language, and the city of love… Wanderlust by Lauren Blakely was a decedent contemporary romance filled with character growth, friendship, and love. Ugly Love is a clever, clever tale Colleen Hoover! 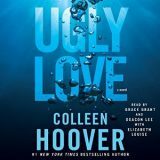 I was delighted to receive a copy of the audio version of Ugly Love by Colleen Hoover narrated by Deacon Lee and Grace Grant along with Elizabeth Louise. The tale Hoover weaves takes place in both the past and the present. 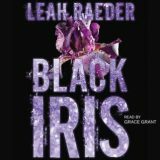 Love isn’t always pretty, in fact sometimes it’s an ugly love, but it makes your heart flip all the same. I laughed, giggled and cried. Tears of joy, tears of sadness complete with hiccups. Ugly Love is a story you will not want to miss and one that will stay with you.